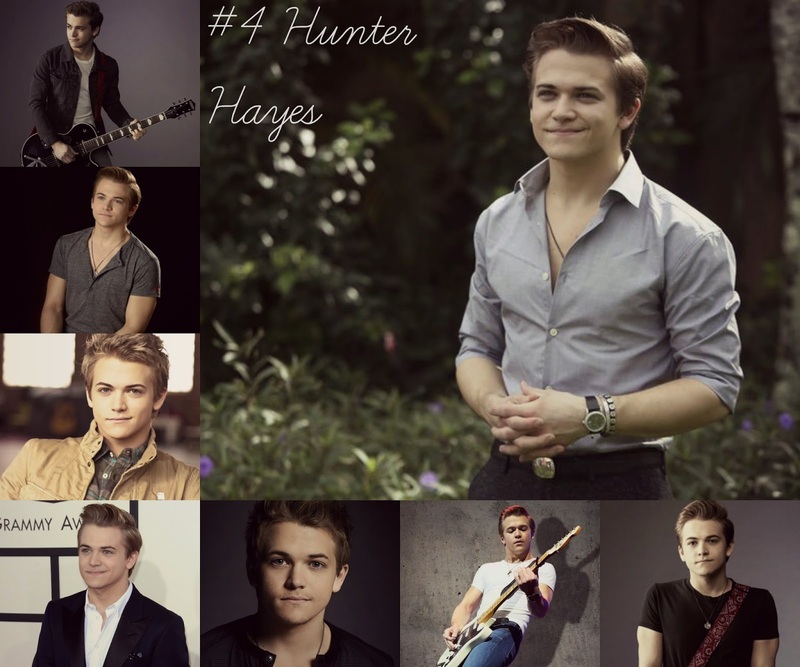 Hunter is a 23 year old singer-songwriter who mostly produces country music. I can’t quite remember when I first discovered him and his music but I’m glad I did. I’ve been listening to his album Encore recently on repeat I just love it. There’s something about country music especially Hunter Hayes’s music that relaxes me which is why I listen to it when I’m walking or doing homework. He’s so talented and pretty good looking too I can’t resist a guy who is able to play the guitar and I’m sure many girls are like me too. I guess from stereotypes if you saw me in the street or looked at my tweets, photos on instagram or my tumblr you would never really picture me loving country music. However I’ve really gotten into it over these past few months it just makes me feel so amazing. I love to just listen to country music when I’m reading a book and it’s great music to be silly and dance around your bedroom with. I’d love my own Hunter Hayes obviously wishing for him is a little too unrealistic. However if I can find a guy who can play guitar and sing, can be funny and all round genuine then that would suit me. I also like the way he dresses it’s so casual but smart at the same time I actually really like it when guys wear plain tee-shirts. If anyone knows anyone who has these traits then hook me up please? (I’m joking) but if you saw how he acts in his music videos then your heart would ache a bit (that’s if you’re single anyway). It sounds so soppy but it’s kind of true when I watch his music videos they just make me smile even though I know they’re staged I can’t quite help but think that he would be a genuinely good boyfriend/husband. He’s also very active on his twitter and YouTube regularly updating his fans which I really admire. Some “celebrities” don’t even bother to interact with their fans which is kind of disappointing. He never fails to upload some sort of video on his channel which I like as they’re usually like the behind the scenes of something. I think people that are more down to earth go so much further in life and I know he will defiantly achieve so much more in his life. I know he will produce more amazing music which will at the top of my iTunes wishlist. I also know that he will become an amazing husband/father to whoever he marries as he just seems like that perfect guy. Okay so he may not be but these are just my assumptions I’d love to meet him one day which is totally out of the question but a girl can dream can’t she? I also know he’s going to go on and win many awards because he is truly talented and such an amazing singer-songwriter. If you have never heard of Hunter Hayes then definitely go and check him out as he’s such an amazing artist. I recommend starting with Tattoo, Still Fallin’ and Invisible as those are truly some heart-warming songs. I also recommend going and watching his music videos as they will make you feel all warm inside. If you’re having a bad day he’s your cure trust me whenever I’m having a bad day I just listen to his music and after around 20 mins I feel so much better. *Be Proud Of Who You Are.